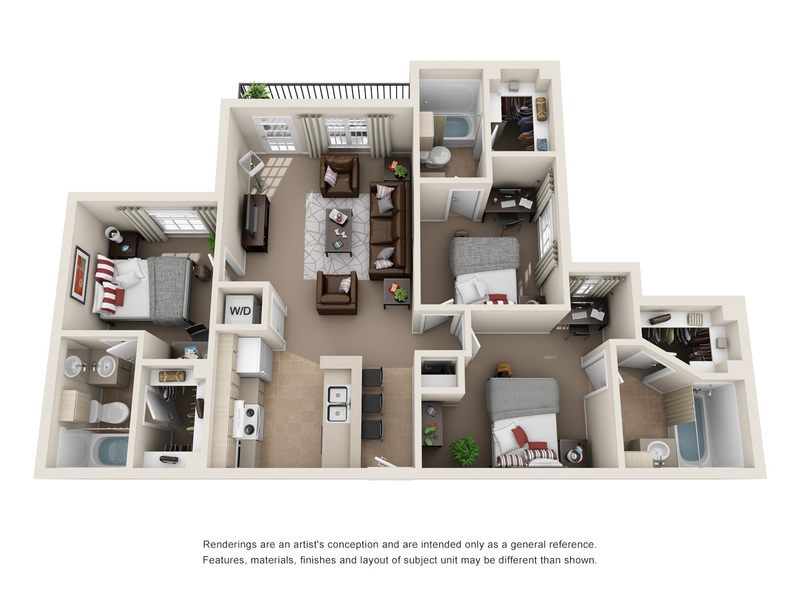 At The Davis, we offer floor plans perfect for ECU Pirates and the flexibility to sign an individual lease within a shared apartment. 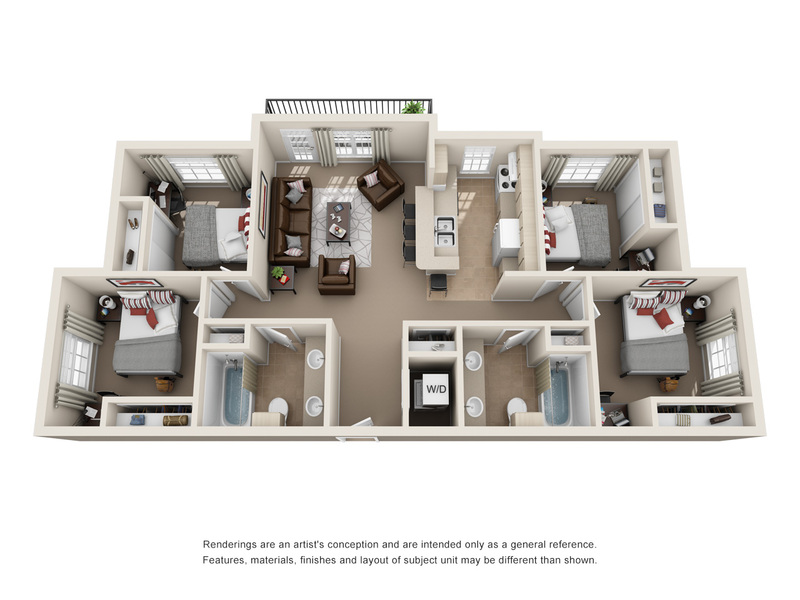 Look below to view layouts of our three- and four-bedroom options. Apartments are furnished with everything students need to be ready for their next year in Greenville! Units have furniture, appliances, and a washer and a dryer. 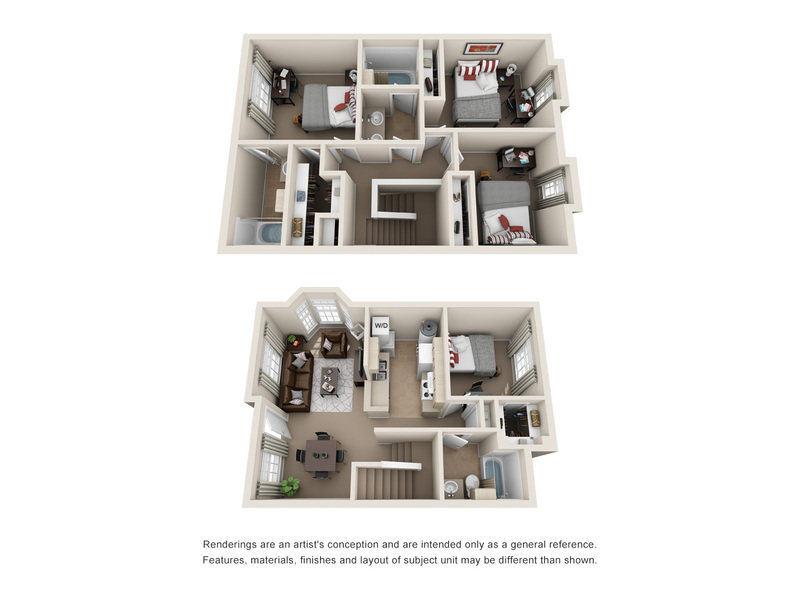 Select the floor plans below to see a larger, zoomed-in view of each apartment style. Want to see what you could save by living at The Davis?